When I first heard Atlus was localizing The Caligula Effect back at E3 2016, I was pretty excited. I had been following this one for a while and loved what little I had heard about the story. The combat looked interesting, and if you have a good story and decent combat you usually end up with a decent RPG, right? Let’s find out if I got excited over something really great or if this one is mediocre. The story begins as a group of students are trapped in this perfect digital world called The Mobius. This world was created by a Vocaloid named μ. 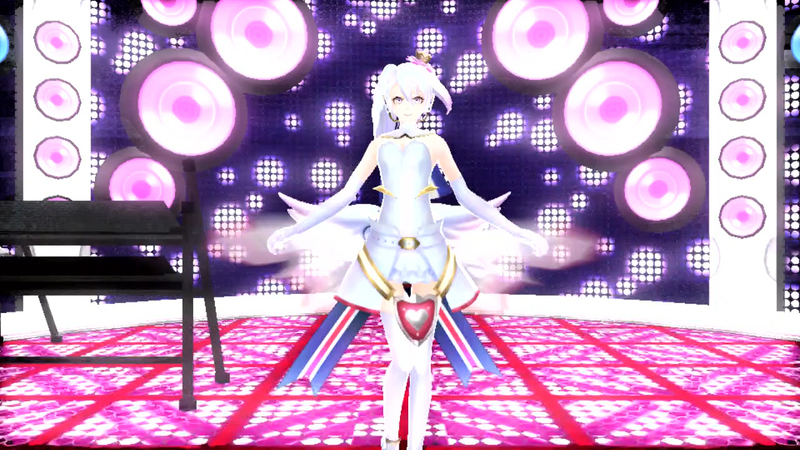 Only those suffering in the real world that can relate to μ’s songs can find their way into The Mobius. Once there they begin to forget about the real world, and are turned into students no matter what age they are. Then they will continually repeat high school over and over again. Few in this world are able to break free from this ensnaring song, but those who do have their memories slowly return. The students form “The Going Home Club” and fight for a way to return home to the real world and their lives. I really loved the idea of this story because it deals with people trying to escape a world that doesn’t accept them and is very unkind. This could be because they were overweight, socially awkward, or maybe even flat out bullied. Neither the story or the characters really ever became interesting enough for you to care all that much. I don’t think the story is poorly written, but it just all feels very cookie cutter and bland. They do have some character episodes for your party members later to flesh them out, but like the rest of the writing, these are very plain and do little to help you care about these characters. 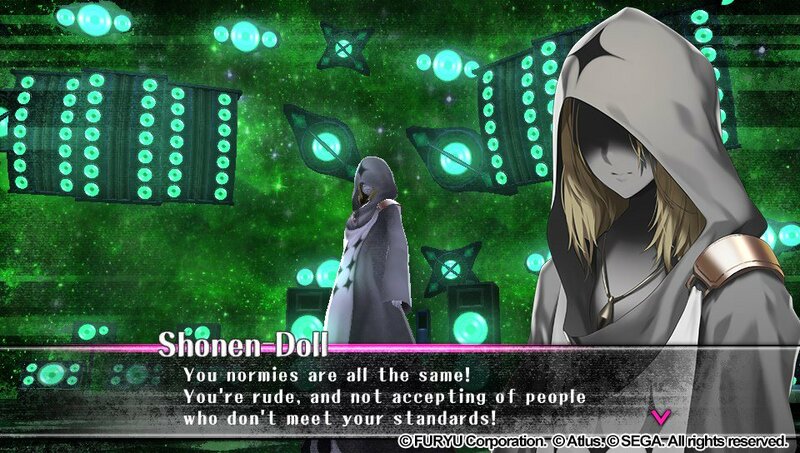 I think the localization team did their best with what they had to work with here, but you can only do so much with lackluster source material. Graphically, The Caligula Effect looks pretty good on the PS Vita. The character models look nice even if they are not incredibly detailed. Enemies all look basically the same, having only different digital weapons to separate one from the other. The environments all look very nice, but you can tell they reuse a lot of the same textures pretty often. In some stages it’s very hard to tell the difference between areas because of this. The effects during battle are where this one really shines, with lots of explosion effects and blasts as your party are laying to waste to every enemy in their path. The only issue with that is sometimes the framerate will take a hit when really crazy moves are going off all at the same time, but this really doesn’t affect gameplay. The game’s soundtrack is fairly solid. While you are exploring each area you will hear the instrumental part of each stage’s song. When you begin a battle the vocal parts of the song will begin to play. 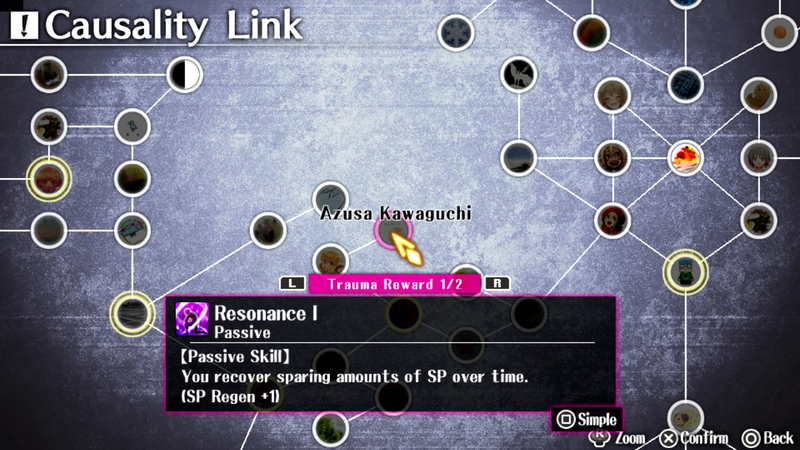 I’m sure they did this for effect since the enemies you fight are affected by the vocaloid’s song. I just find it odd they didn’t have an actual vocaloid sing the tracks—I feel this would have made more sense given the context of the game. The game is fully voiced in Japanese, and while there is nothing offensive here, I feel it is kinda flat like the game’s writing. The gameplay is pretty straightforward. You will explore each area fighting baddies and solving simple puzzles. These involve answering simple riddles, finding keys, doing fetch quests, and other various tasks. Each area basically plays out the same way, so this one can get repetitive rather quickly. 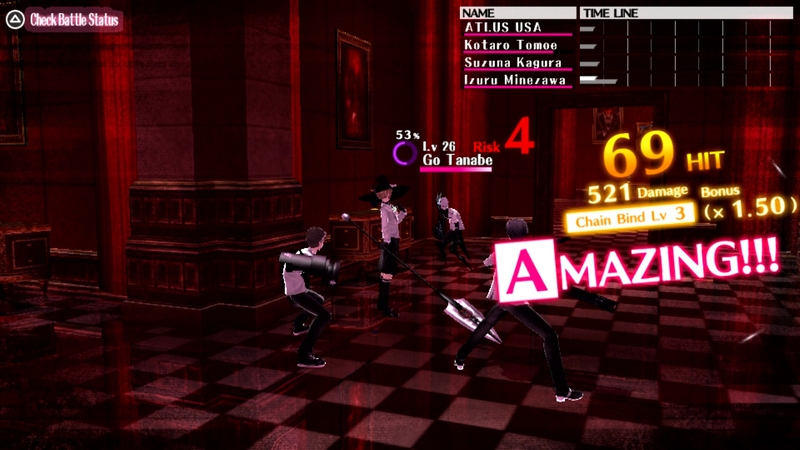 Thankfully the combat is pretty good, which saves the game from being monotonous altogether. Combat will begin when you get close to an enemy on screen. Everything here is 100% turn based with a twist. This being that you have each character perform up to 3 moves in a single turn, and the game will show you the result of all these actions in what is called an “Imaginary Chain.” This is actually a lot of fun since you adjust the timing of moves being performed by your party member to make really huge combos, or even Risk Break your enemy, launching them into the air for even crazier stuff. However, the “Imaginary Chain” can be wrong every once in a while, and your attacks may not turn out as planned. This will require some adjustment on your part to come out on top in these battles. The main problem I have with the battle system is how if there is an obstruction in the path of the party member attacking an enemy, they are not smart enough to move around it. You have to waste a turn having them move over to avoid it, and then attack. The last thing I would like to tak about is The Casuality Link System. This is a system in which the Going Home Club gains affection with the world’s NPCs by having conversations with them. The point of this is to build relationship circles with friends as you build up affection with each NPC and gain some useful items, but it’s mind numbingly boring. Every NPC basically says the exact same things, and after about 20 minutes of doing this you couldn’t care less if students are worried about a test or physical exam. The worst part is that you can find items just about as good as what you can gain by doing this. This is quite possibly the most pointless and mind numbing system ever put into an RPG. 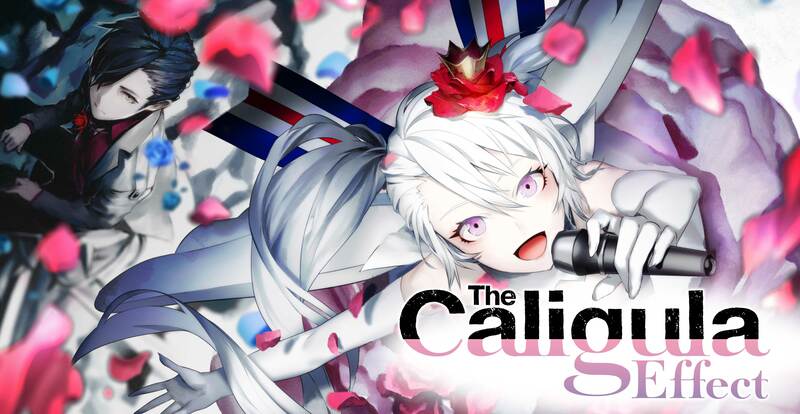 All and all I don’t think The Caligula Effect is a bad game, but it’s certainly not a good one. The game is a good idea buried under a ton of bad design choices. The story and characters are bland, but the combat is unique and pretty fun. The stages look good but are all basically the same. You can complete this one in about 20 hours, and you could probably get more out of it if you did all of the Casuality Link stuff. I think folks can find things they enjoy about the game, but I feel there are much better choices out there for a $39.99 price tag.